I’m always trying to work beans into my diet because they’re just so good for you, and I happen to think they’re delicious. 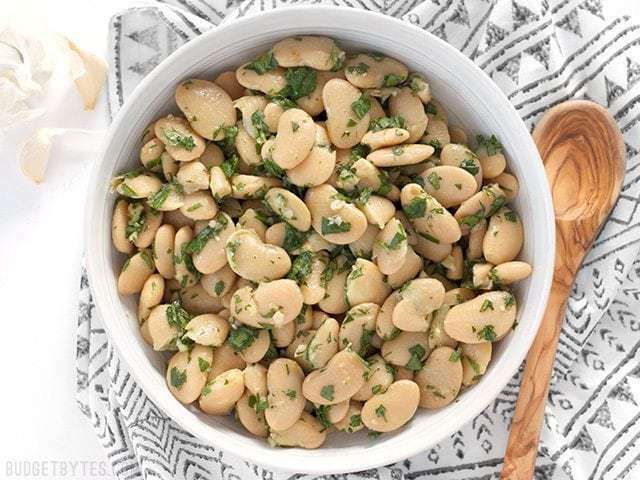 These quick marinated white beans are one of my favorite side dishes because they’re so fast and the flavor is so big considering how simple they are. Seriously, I could probably eat the whole lot of them at once, but realistically it’s more like four side dish servings. 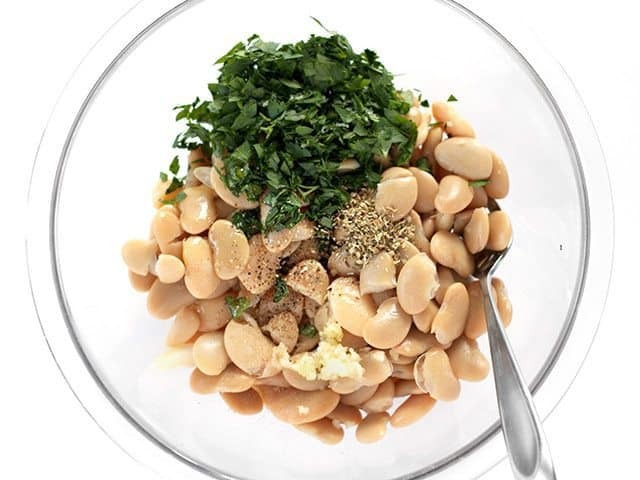 I made this recipe with canned butter beans, but cannellini are also a great choice. I love the whimsical looks of these giant butter beans and they really do have an almost buttery rich flavor. This versatile side dish whips up in just a few minutes and tastes great eaten immediately, but gets even better with time in the fridge. Photos and prices updated 8-20-16. 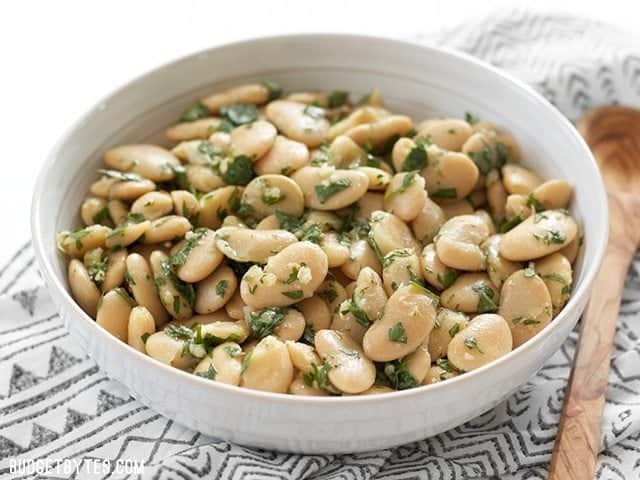 Marinated White Beans are a fast, easy, and versatile side dish that comes together in minutes with bold flavors like lemon and garlic. Drain the beans and rinse them with cool water in a colander. Let the excess water drain away. Rinse and drain the parsley. 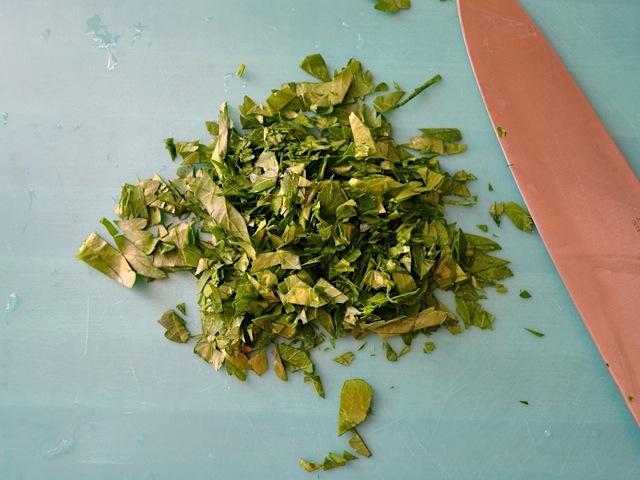 Pull the parsley leaves from the stems, then chop them roughly. 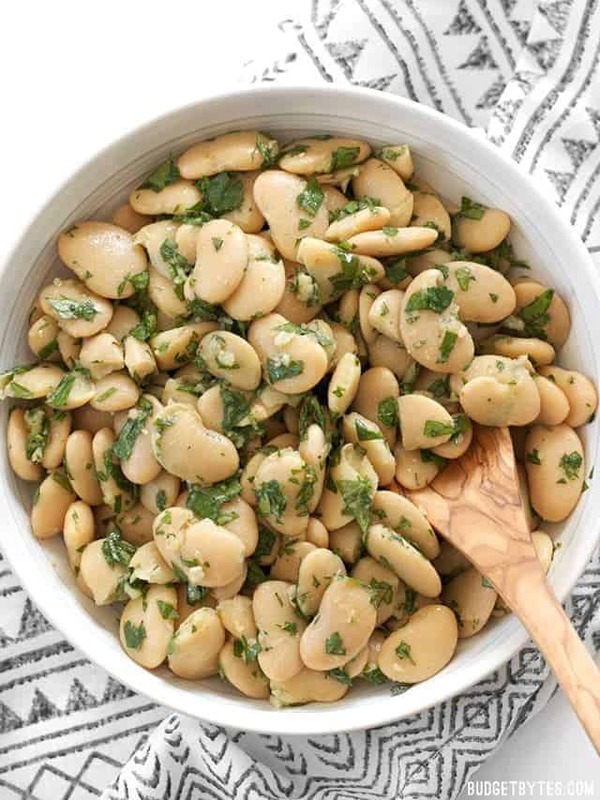 Combine the rinsed beans, chopped parsley, olive oil, lemon juice, minced garlic, oregano, a pinch of salt, and some freshly cracked pepper in a bowl. Stir until everything is well mixed. Taste the beans and adjust the salt if needed. Refrigerate until ready to eat. Drain and rinse two 15oz. 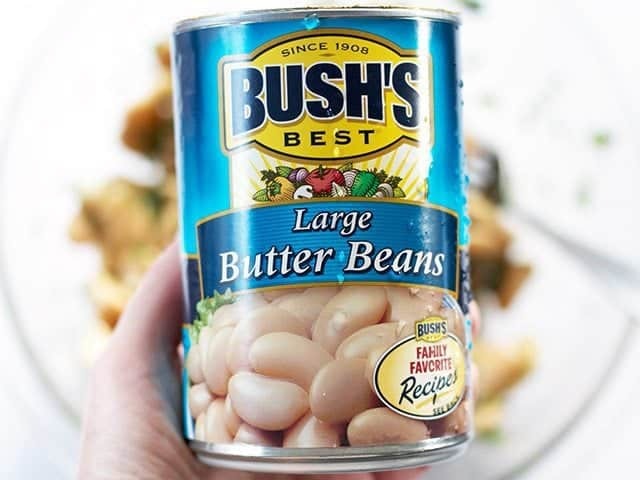 cans of butter beans. This is what the can of butter beans looks like. 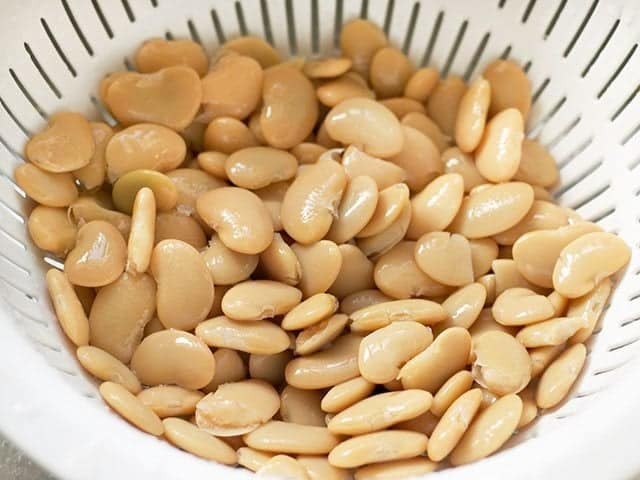 They’re a little less common than other types of beans, so if you can’t find them you can use two cans of cannellini beans. Rinse, drain, and chop about 1/4 bunch parsley. 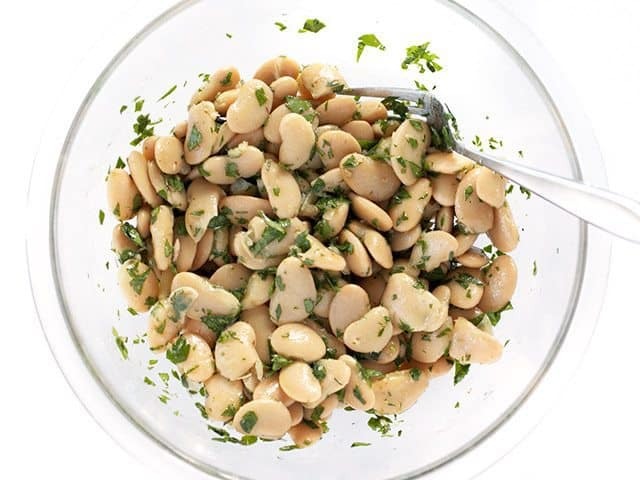 Combine the rinsed beans, chopped parsley, 2 Tbsp olive oil, 1 Tbsp lemon juice, 1 clove minced garlic, 1/2 tsp dried oregano, a pinch of salt, and some freshly cracked pepper in a bowl. Give everything a good stir. Either serve immediately or refrigerate until ready to eat. The flavors will intensify as it refrigerates. Fast, easy, and oh so good! 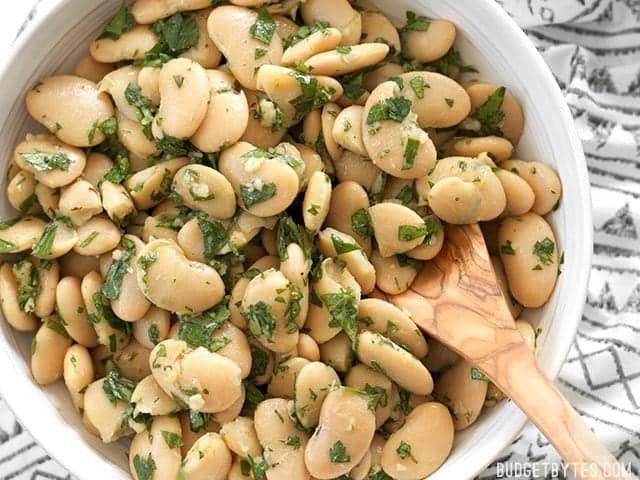 Marinated White Beans are a #winner. Trying to get into eating more beans and this looks really good to me, but hubby doesn’t like the taste of butter beans. Is it possible to use cannellini beans instead? Would it change the taste too much? Would really love to try this dish. Thank you! Thanks for this recipe, I love it! So easy and inexpensive. I doubled the recipe to put over mixed greens for quick and healthy lunches during the work week. I really love that you have step by step pictures for all your recipes; makes me want to try them out every time. Made these and posted about them on my blog! Thanks for helping me convince my Hubby that beans are not bad after all! Loving every recipe of yours that I have tried! The BEST recipe! I only add some freeze dried jalapenos to the mix for a little extra zip. Great with a can of tuna – and a complete meal. Love the blog! Yum! I’d totally eat this. Could also try the same recipe with chickpeas and mint. I’m going to make this tonight (and I love your pictures). I love your blog, really ! It’s just a great idea to marinate beans, I want to do it too ! This is definitely bookmarked Beth. I’m graduating to a vegetarian diet and this looks like one that will be on my menu often. I have had these before at potlucks. I have always enjoyed them.